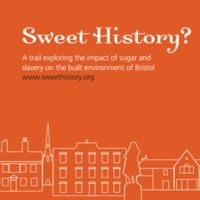 The Sweet History? 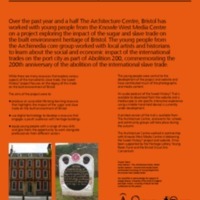 project saw the Bristol Architecture Centre work with young people from the Knowle West Media Centre to explore the social and economic impacts of the sugar and slave trades on the built environment heritage of Bristol. 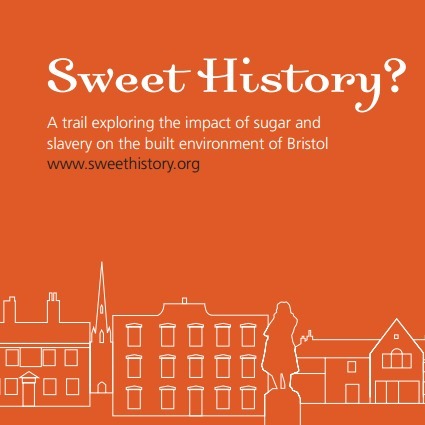 Working with local artists and historians, the young people put together the Sweet History? 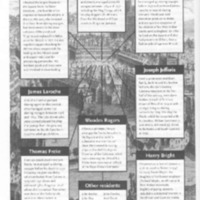 Trail, containing photographs and information about 23 sites in and around Bristol that have links to the sugar and slave trades. 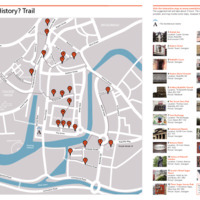 The project had a particular focus on using digital technology to develop an interactive website (which included an audio podcast of the trail) to engage youth audiences with the study of heritage buildings.